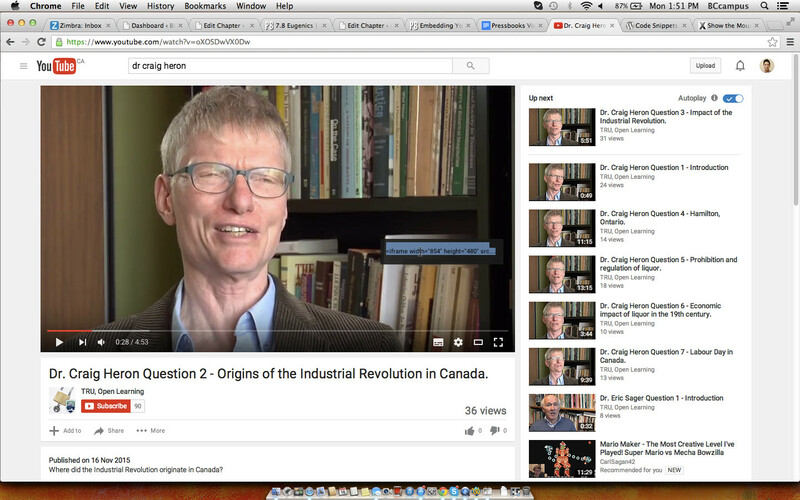 Typically, the best way to add videos to a textbook is to host them on YouTube, and then embed them into the book afterwards. 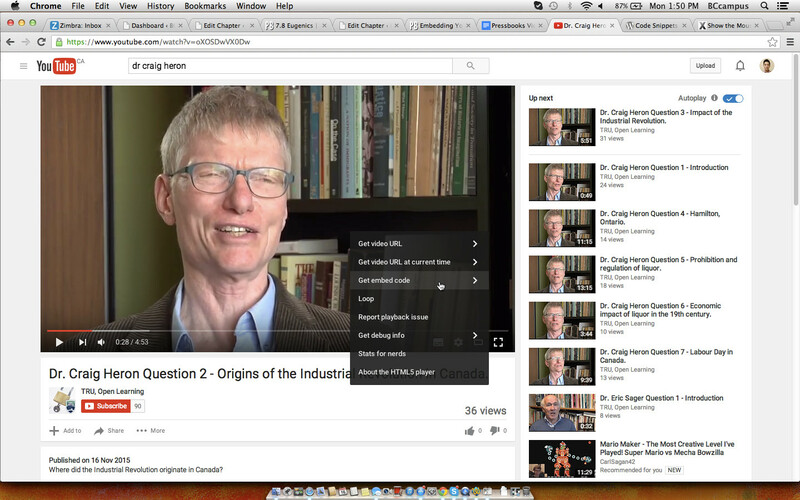 This section assumes that the videos to be embedded are already hosted on YouTube. Another way to embed a video is to manually insert the embed code from the YouTube video. To do this, go to the YouTube video and right-click on the video, then select the “Copy embed code” option, and press Ctrl-C (PC) or Command-C (Mac) to copy the embed code. You can then paste the embed code into the Text view of the Pressbooks editor. Once the embed code is highlighted, use Ctrl-C (PC) or Command-C (Mac) to copy the embed code. Embedding YouTube Videos by BCcampus is licensed under a Creative Commons Attribution 4.0 International License, except where otherwise noted.